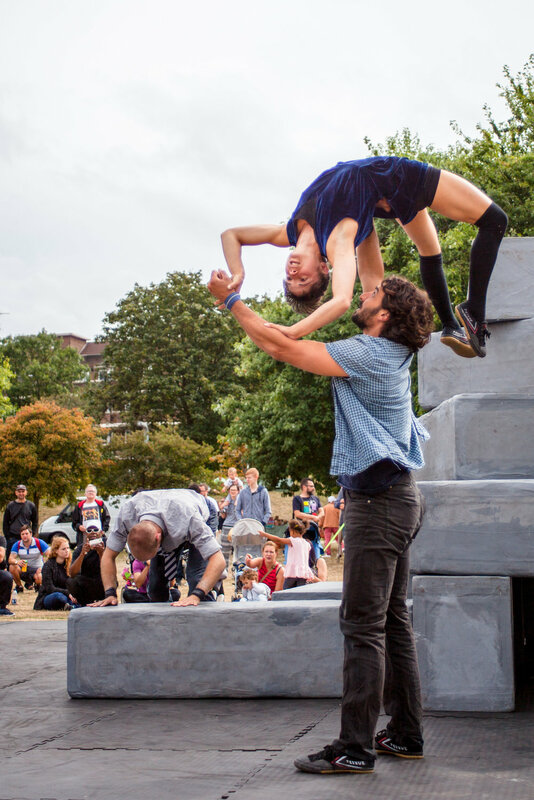 Motionhouse and NoFit State Circus brought together their unique styles in BLOCK - an exciting new collaboration. 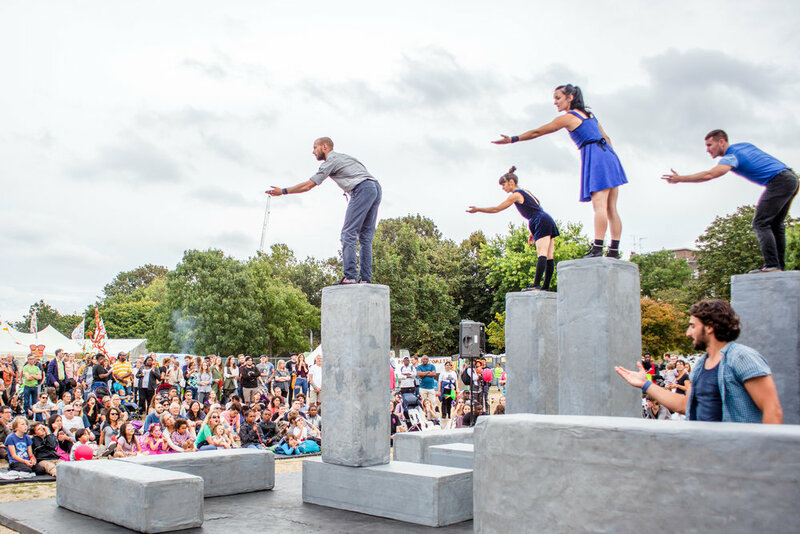 Twenty oversized blocks are deconstructed and reformed into an infinite variety of shapes for the performers to play on, move with and explore. What happens when dance and circus collide? When they converge, rub against each other, blend into one another? The modern city is a nest teeming with activity. Human life streams through it. BLOCK is about living in the city, its contradictions and its challenges. Living large, living fast and sometimes living in the cracks, this extraordinary cast stay on their toes to survive and thrive in the world of blocks.